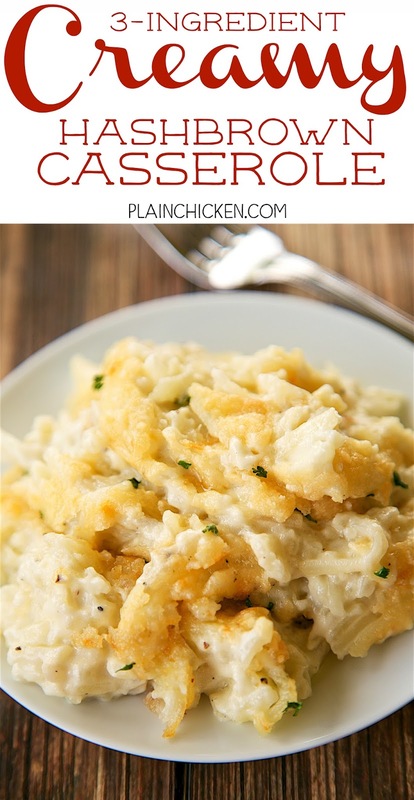 3 Ingredient Creamy Hashbrown Casserole - frozen hashbrowns, heavy cream and parmesan cheese. We like to add garlic too!! SO easy to make and they taste amazing. No prep work! A new favorite in our house. Also great for a dinner party. Potato casseroles are a favorite in our house, so I am always looking for new ways to prepare them. 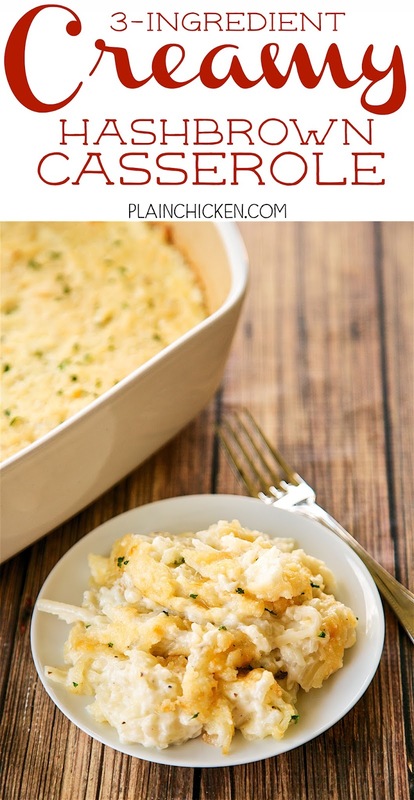 This Creamy Hashbrown Casserole couldn't be any easier and there is no cream of anything soup! Just hashbrowns, heavy cream and Parmesan cheese. 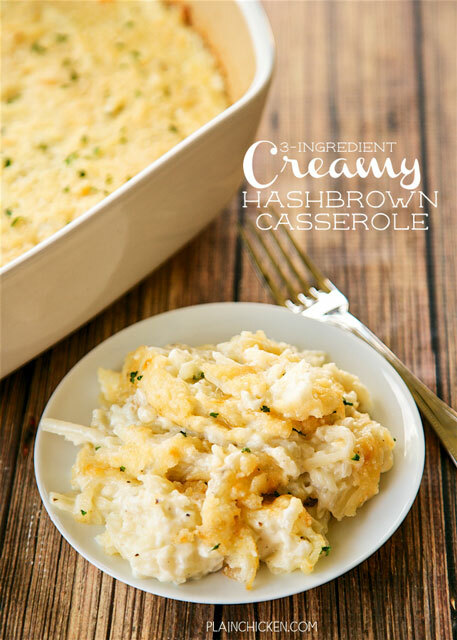 This Creamy Hashbrown Casserole literally only takes a minute to assemble and is ready to eat in about 45 minutes. We seasoned the potatoes with garlic, salt and pepper. You could also add some rosemary! 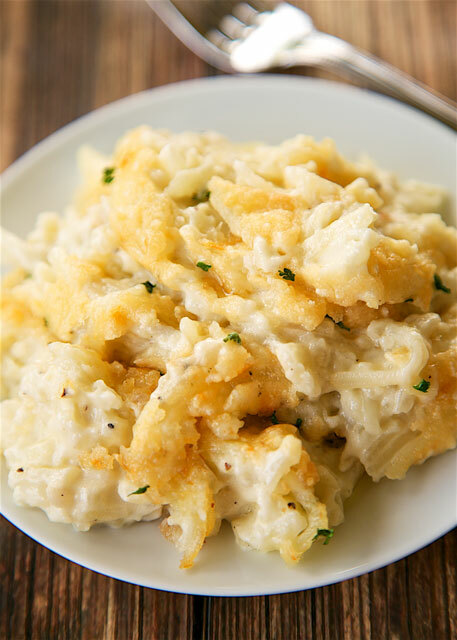 If you aren't a fan of Parmesan cheese, feel free to top the potatoes with your favorite cheese. Any cheese will taste delicious! Spread thawed hash brown potatoes in bottom of pan. Stir together heavy cream, salt, garlic powder (if using) and pepper. Pour over potatoes. Bake for 30 minutes, stirring halfway through baking time. Remove potatoes from oven, stir and top with parmesan cheese. Bake for an additional 10 to 15 minutes, until golden and bubbly.